Do you know what kind of marketing will give you instant “expert” status in your community, but can’t be purchased? If you live in a small community, it’s articles in the local newspaper. 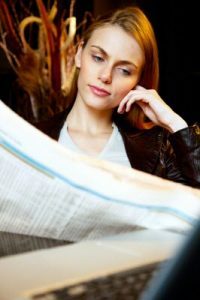 If you live in a large community, it might be more difficult to get into the daily news, so consider placing articles in a neighborhood publication or a newsletter devoted to your niche. Think about the local equestrian groups, boating clubs, senior citizens organizations, or even Homeowners Associations in your territory. When I was a broker, I wrote articles for our local weekly newspaper just as often as I could come up with something to say. Sometimes I wrote about the condition of the market or happenings that would affect real estate. Other times we had to manufacture some “news” – like our big Halloween pumpkin giveaway and our flag giveaway for the 4th of July. As a result, our names and photos were in the news on a regular basis. People knew us, knew we were involved in the community, and knew that we knew what was going on in our market. This wasn’t the only reason that we had more than 50% of the transaction sides in our market, despite competition from 6 other local agencies. But I think the exposure and the status it gave us played a significant role. Why does this kind of self-promotion work so well? Because it’s as if the newspaper publishers are endorsing you as “the” agent in your community. You could write something and insert it as a paid ad – but the words “paid advertising” would be at the top or bottom of the article. When you are quoted or when you are the one providing the news, you gain expert status in much the same way that writing a book on a topic gives you status. The same applies to press releases. They have no obligation to use them, but if they think their readers will be interested, will use them when they fit. So what can you write about? Start with your market reports, because almost everyone is interested, even if they don’t plan to buy or sell in the near future. 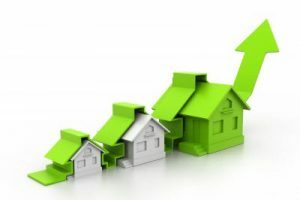 We like to see if prices are going up or down and if more or fewer homes are being sold. Write about the different school districts, and the difference in prices and property taxes between them. Write about the differences in loan programs. Write advice articles. For instance, explain why home buyers should always read the Homeowners Association documents before buying an affected home. Then explain why home sellers really do need to vacate the house – and take their pets along – when potential buyers are touring. If you enjoy research and history, learn about the early development of real estate in your community and write about it. That alone should provide material for a half dozen articles. If you’re writing for your niche, choose real estate topics that affect the people and properties in that niche. For instance, if you’re writing for senior citizens, you could outline the pros and cons of a reverse mortgage – or explain how it’s possible to purchase a home using a reverse mortgage. What about press releases – and what’s the difference? A press release needs to be “news,” but it can be a bit more obviously self-serving. For instance, a press release might announce new members to your real estate team, the fact that you attended a State or National REALTOR® convention, or that you just earned a new designation – and what that means. It could also announce an open house or report on a fund-raising event that you’re hosting for your favorite non-profit. In addition, a press release must be presented in a specific format or it will be immediately round-filed. Write your articles in a manner that allows for a paragraph or two to be removed without destroying the whole story. This will allow an editor to cut the word count if needed to fit a vacant space. Call the news editor. If yours is a large newspaper with different sections, find out who is in charge of real estate news and call that person. Better yet – go see them in person and take along a sample of an article you would like to submit. Do ask for guidelines and do ask for a by-line and a link to your email for more information. Do you have to write the articles yourself? No. You can use a ghost writer, but do so carefully. Make sure that you know all the facts being reported in the article – and that they are accurate. You would NOT want to be unable to discuss a topic that “you” wrote about. If you state an opinion about how a certain development might affect real estate values, make sure it’s your opinion. By the way, the topics I’ve mentioned above are also good for your blog and your personal newsletter. There really is no limit to the number of things you can write about once you start thinking about it. One more thing… While it’s true that some people don’t read newspapers any more, many still do. AND… if your article is in a newspaper that goes online, those who read only on screen will see it too.